Would be pretty cool if you had a picture of you typing a post on MTBR with that thing still stuck on your arm. I bet that was awesome to get off. 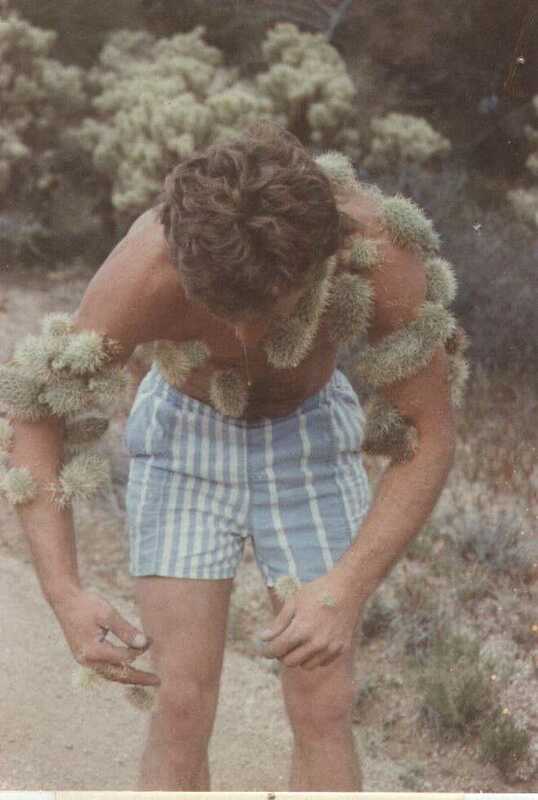 Ironically, I too had a run-in with a cactus. 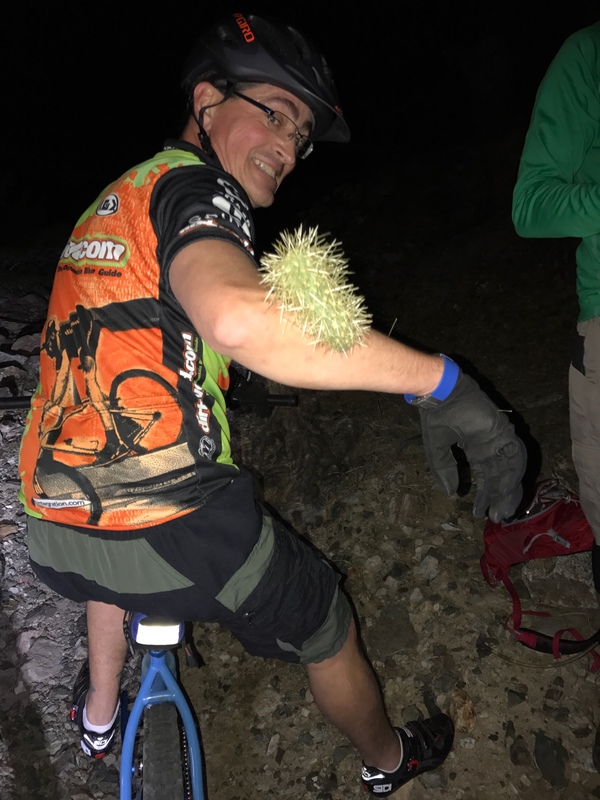 I punched my hand through a Buckhorn Cholla arm last night on T100. My glove was literally pinned to my knuckles. It's all bruised as swollen today. Made me remember why I used to wear MX gloves with plastic fingers. I carry a fine-toothed hair comb in my Camelbak for just such an occasion. Yeah, a comb is the best tool for that situation. if you take two hand sized rocks, you can grab the teddy bear very easily... never liked combs.. unless you bring a really big one... a full sized leatherman works well..
Had to make a split-second decision on crashing into a saguaro or one of those cholla thingys. Picked the cholla -- probably not a good idea. Spent the next 30 min picking out needles with my Leatherman. Very painful, but that is a prickly pear. You can even find those as far north as michigan. Thanks! Never was good with the terminology of cacti. It had lots of spiny things on it, barbed little f#ckers that were not easy to get out. 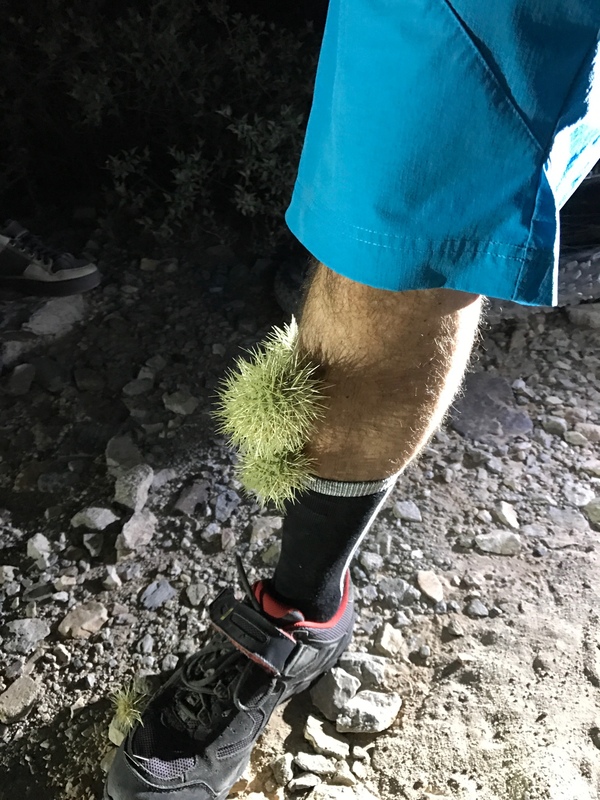 There was a teddy bear cholla there too but that one only got my calf. I swear that there were still needles coming out 6 months later. Wow, that would put a real quick end to a fun ride. 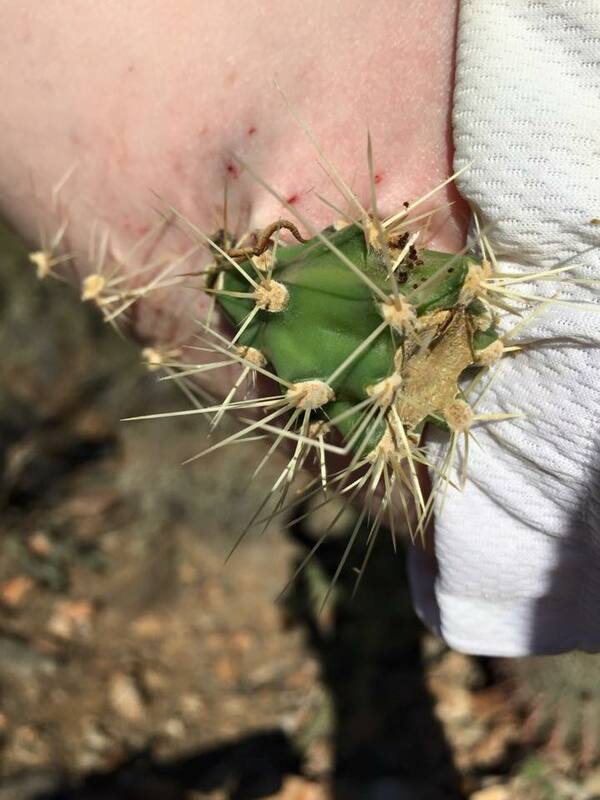 Fairly recent transplant to AZ and still getting used to dodging all of the sharp, pointy things around here. Definitely don't want to run into one of those. I was doing some pruning on a phoenix palm tree in my yard recently and had one of the spines go through the web of my hand(glove and all). Those things are wicked sharp and painful too. Hi DG! Hope all is well! All us old timers are still kicking...hope you're still enjoying the Verhauen.